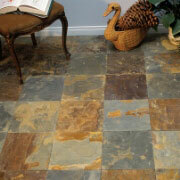 The flooring in any home can have a dramatic effect on its overall appearance. For homeowner clients that want premium flooring without the premium price, clever trade professionals turn to ProSource® of Oklahoma City. In our expansive showroom, you’ll find a striking selection of flooring styles, patterns, and materials, including high-quality carpet, hardwood, and laminate flooring. The carpet flooring in a home signals that the owner values comfort and a sense of coziness. 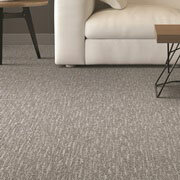 At ProSource, we have the carpet styles and patterns from 120 different manufacturers. That means that no matter the decor of a home, trade pro can find a carpet that perfectly matches. Hardwood flooring a favorite among homeowners and trade pros. It’s a classic look that can brighten any home. For clients who want the look of hardwood in every room of the house, ask our flooring specialists about our engineered hardwoods. 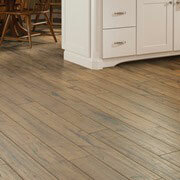 They’re the perfect flooring for spaces like kitchens and bathrooms. 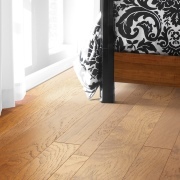 The flooring specialists at ProSource recommend laminate flooring for homes that see a lot of heavy use and high traffic from children and pets. Laminate flooring is durable, affordable, and versatile. It comes in patterns and styles that copy hardwood and stone floors. Tile is a great choice for flooring in spaces like the bathroom and kitchen, and in other places throughout the house as well. Lay our striking designs and patterns with our range of ceramic, glass, and porcelain tiles. 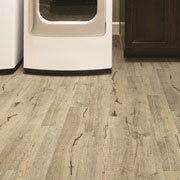 ProSource of Oklahoma City also offers trade pros luxury vinyl tile (LVT) and luxury vinyl plank (LVP) flooring. These flooring options are great choices for homeowners who are looking for the beauty of hardwood or stone flooring but don’t want to deal with the costly and expensive maintenance behind those floors.